How fast does Bing index web-sites? – I Grok2! How fast does Bing index web-sites? It seems like Bing’s index is not as current as Google’s possibly because Bing doesn’t crawl web-site’s as fast as Google does. 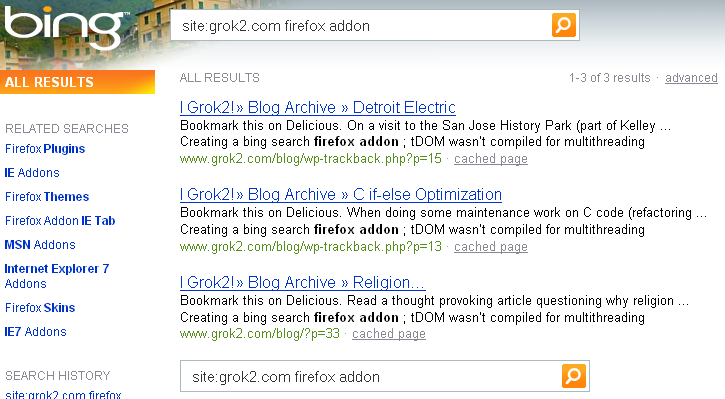 My first blog post to create a Firefox addon for Bing got indexed within hours by Google and showed up in it’s search results. But it is yet to appear in Bing’s search results (it is three days now since I blogged about it).